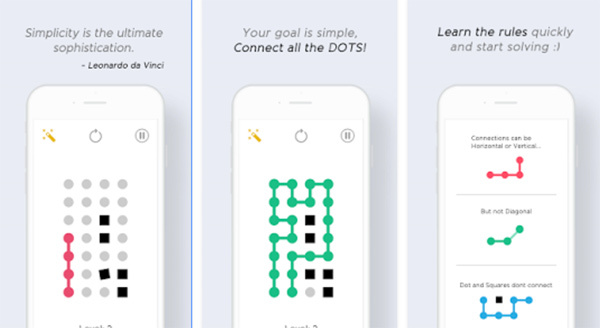 Find A Way: Addictive Puzzle is a simple minimalist puzzle game about connecting dots and spreading happiness developed by Zero Logic Games. Find A Way has a very simple premise, you are presented with a grid of dots and squares and you must connect all the dots. Dots cannot be connected twice. The game features beautiful minimal design and over 1,200+ levels divided between 640 free levels and 640 premium levels. Each level pack has multiple levels with an increasing challenge. Enjoy flat minimalist art style graphics with soothing music that relaxes your brain. If you get stuck in the game please check out the video walkthrough for the game. This entry was posted in Android Games, iOS Games, Mobile Games, Walkthrough and tagged Find A Way: Addictive Puzzle, Find A Way: Addictive Puzzle Answers, Find A Way: Addictive Puzzle Gameplay, Find A Way: Addictive Puzzle Help, Find A Way: Addictive Puzzle So Many Dots Pack, Find A Way: Addictive Puzzle Solutions, Find A Way: Addictive Puzzle Tutorials, Find A Way: Addictive Puzzle Walkthrough by Marvin. Bookmark the permalink.